Air France has said it is accelerating replacement of speed monitors on Airbus planes following the disappearance of a jet over the Atlantic six days ago. Peruvian Amazon indigenous groups that fought government security forces with spears, rocks and home made guns during two days with a toll of over sixty killed and dozens missing said they are prepared to dialogue about the controversial laws which opened the region to logging, oil and minerals exploration and triggered the rebellion. Centre-right parties have done well in elections to the European Parliament at the expense of the left. Far-right and anti-immigrant parties also made gains, as turnout figures plunged to between 43 and 44%, according to the latest reports from BBC. Britain’s ruling Labour party has suffered its worst post-war election result as it was beaten into third place by UKIP and saw the BNP gain its first seats at Brussels. Labour's share of the vote at the European elections was just 15.3% - worse than party bosses had feared. British Primer Minister Gordon Brown's hopes of political survival have been dealt another blow as the far right British National Party achieved a major electoral breakthrough gaining their first seat in the European Parliament. Spain’s Secretary of State for Ibero-America Juan Pablo de Laigleisa begins Monday in Buenos Aires a visit to three Mercosur country members in preparation for when Madrid takes over the presidency of the European Union in the first half of 2010. 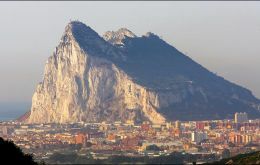 Spanish diplomatic sources have said that the PSOE Government is willing to offer an agreement on the current dispute over Gibraltar territorial waters that sets sovereignty to one side and concentrates on issues of practical cooperation. Brazilian search crews on Saturday retrieved the first bodies from the crashed Air France flight 447 in the Atlantic, and investigators said faulty speed readings had been found on the same type of jets. Nine Peruvian police officers were killed Saturday after security forces regained control of a petroleum facility in a remote jungle region from indigenous groups that are protesting against logging and oil exploration rights awarded by the government. 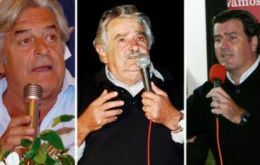 The Uruguayan ruling coalition could repeat in next October general election according to the latest public opinion poll released this week in Montevideo. Pollster Radar has the Broad Front of President Tabare Vazquez with a vote intention of 46.7% and the sum of the opposition parties with 40.1%.